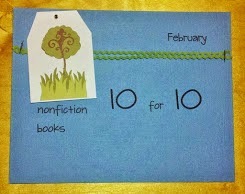 I’m excited to be participating in Nonfiction Picture Book 10 for 10 for the first time. In my very first blog post, I shared my #pb10for10. Thank you Cathy Mere and Mandy Robek for creating #pb10for10 for book bloggers to share our #booklove of amazing picture books. In 2013, Julie Balen suggested to add a nonfiction picture book event that worked the same. #nf10for10 provides the opportunity to bring our reading community together to share our favorite nonfiction picture books. To check out more fabulous lists, please visit the Google Community site. This year, I sponsor a second grade class for #classroombookaday. I strive to find engaging nonfiction picture books to read aloud to students. Being a part of #bookexcursion, I had been blessed with the opportunity to read and review some picture books prior to their publication. Before reading each story, I ask the students just one question-What do you think the author is trying to teach us? 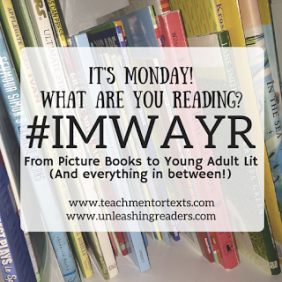 In my #nf10for10, I have included 10 nonfiction picture books that I have either already read for #classroombookaday or plan to read before the end of the school year. All these amazing books can teach us information, the power of our actions or to persevere. Terrific Tongues teaches us fascinating facts about how tongues work in unique ways. I absolutely love the format of this fabulous text. Maria Gianferrari introduces each animal with an if and a might. For example, if you have a tongue like a mop, you might be a…. (no spoilers). The text lends itself well to a class read aloud. Terrific Tongues will be released in April 2018. Thanks to Maria Gianferrari for providing my #bookexcursion group with a copy of Terrific Tongues to read, share, and review. For my full review, click here. Maria Gianferrari’s other forthcoming release, Hawk Rising, is a narrative non-fiction picture book which tells the story of a mother and daughter observing a father hawk hunting for prey for his family. The text is true poetry, for she chooses her words carefully to dramatically describe the family’s actions and feelings as well as the hawk’s pursuit. With Brian Floca’s gorgeous illustrations, the story takes flight. It teaches us the father hawk’s role in caring for his brood. Hawk Rising publishes in June 2018. Thanks to Maria Gianferrari for providing my #bookexcursion group with a copy of Hawk Rising to read, share, and review. To read my full review, click here. Written in lyrical verse, Caroline Starr Rose beautifully tells the legend of young Will Cody who later gained notoriety as folk hero and Wild West showman, Buffalo Bill. Joe Lillington’s illustrations support the text by dramatically depicting the riders’ arduous journey. At the end of the book, the author shares historical research about the Pony Express and Will Cody. It teaches us about an important event in the history of the American West. Thanks to Caroline Starr Rose who provided my #bookexcursion group with a copy of Ride On Will Cody to read, share, and review. To read my full review, click here. This engaging and informative nonfiction picture book asks questions such as Can an aardvark bark?, which is always answered in the negative. Then an alternative is given. No, but it can grunt and lots of other animals grunt too. Can An Aardvark Bark? is perfect for a class read aloud because students can be highly involved in making the noises presented in the text. It teaches us that animals have different sounds to communicate. Waiting on the Biblioburro is a blend of realistic fiction and nonfiction. It tells the story of a little girl named Ana whose teacher moved far away. As a result, Ana treasures her one and only book reading it again and again. One morning Ana and other children in her village are awakened by the sounds of real life teacher and librarian Luis Soriano Bohorquez. Known as the Biblioburro, Luis carries books with the help of his burros, Alfa and Beto from town to town. Beautifully written with colorful folk art illustrations, Waiting for Biblioburro teaches us how one’s actions can have extraordinary effects and the power of reading books. Hachiko: The True Story is a narrative nonfiction picture book. Told by a fictional young boy named Kentaro about a real dog Hachiko, who lived in Tokyo. Hachiko was owned by Dr. Uneno. Each morning Hachiko walked to the train station with Dr. Uneno and waited there for him to come home. One day Kentaro discovers that Dr. Uneno has died and worries what will happen to Hachiko. Readers discover that for almost ten years after his master’s death, Hachiko waited in the train station for Dr. Uneno to return. Hachiko: A True Story teaches us about the power of friendship and loyalty. Shark Lady is a picture book biography about the life of Eugenie Clark. Jess Keating eloquently shares how Eugenie’s love for sharks began at an early age after a visit to an aquarium and how despite the obstacles she faced, Eugenie held on to her dream of becoming a scientist. Shark Lady teaches us not only that sharks should be admired rather than feared but also women can be anything that want to be. In The Boo-Boos That Changed the Word, Author Barry Wittenstein humorously tells the story of Earle Dickson and how Band-Aids came to be. It teaches us accidents can actually be helpful. Because Earle Dickson’s wife was accident prone, Band-Aids were invented. This picture book biography will be released on February 13, 2018. Thanks to Barbara Fisch of Blue Slip Media for providing my #bookexcursion group with a copy of The Boo-Boos That Changed the World to read, share and review. To read my full review, click here. Me…Jane is a inspiring and gorgeous picture book biography about the life of Jane Goodall. The story begins with a young Jane receiving a toy chimpanzee named Jubilee. Told with minimal text and sweet illustrations, Patrick McDonnell beautifully shares how Jane’s childhood experiences ultimately shaped the person she is today. It teaches us about curiosity, passion, and pursuing your dream. A Very Young Skater is a biography about 10-year-old skater, Katherine Healy. I absolutely LOVED this biography as a young reader and as soon as #nf10for10 was announced, I knew I had to include A Very Young Skater in my top ten list. When I think back to my childhood, this series and especially Katherine’s story was the first nonfiction book I can truly remember reading OVER and OVER. I distinctly remember returning it to the public library and renewing it hopeful no one had requested it. While the photographs may look dated to my second grade readers, I hope reading and sharing the book will teach them the same lessons that it taught me, which is to work hard and never give up on your dreams. Thank you so much for taking the time to read my #nf10for10 selections. I can’t wait to read other bloggers’ lists. Have a great week! Happy Reading! I’m currently teaching second grade and love these suggestions – Terrific Tongues is at the top of my list to explore. I’m also touched our events started you blogging and you’ve continued, keep sharing goodness. It was the catalyst I needed to take the leap into book blogging! Appreciative of the warm welcome and the collaborative community for sharing our favorite picture books. Thank you for creating these fabulous events! I know many of these, Laura, but not all. 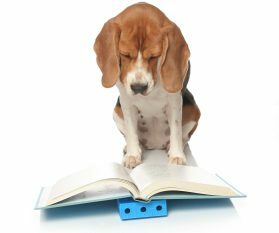 I love the way your organized your choices and that your beagles helped advertise! One all-time favorite is Me. . .Jane. I just loved how they shared some of her early work. I have the “Boo-Boos” on hold, still waiting for that one. Thanks! Thank you! I have always been a fan of Patrick McDonnell’s MUTTS so no surprise that Me…Jane is a favorite too! And the those last two illustrations are so just beautiful.